An exercise about health problems. - Please report mistakes by sending a private message. - Don't forget to click the "I like" button if you really appreciate my work. The present printable, downloadable handout was created for high school students and elementary school students at Elementary (A1), Pre-intermediate (A2), Intermediate (B1) and Upper-intermediate (B2) level. 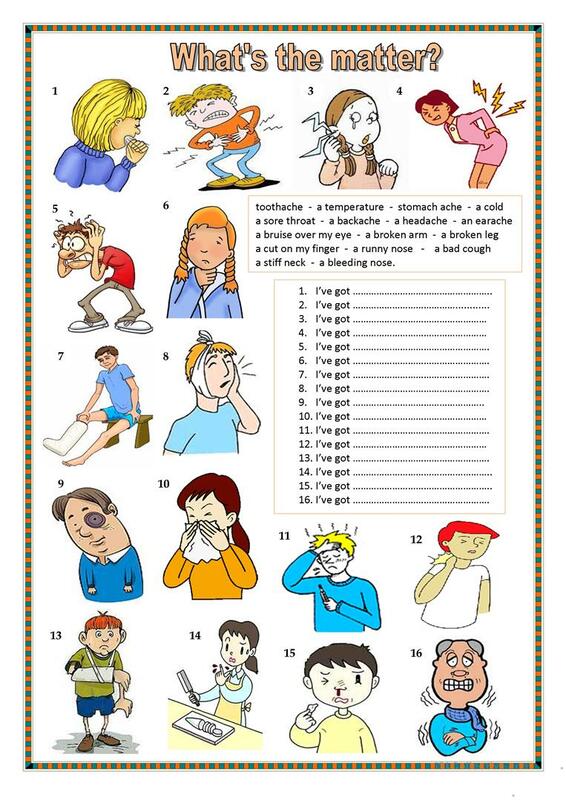 It is useful for working on your pupils' Speaking skills. It is focused on the topic and words of Health, going to the doctor.